“We’re the best kept secret in our community” a Pastor recently said to me. I immediately thought of the song “Hide it under a bushel, no! I’m going to let it shine!”. Often, I’ll be traveling to a new location and someone will take me to dinner at a great restaurant that’s also “the best kept secret”. We arrive and have amazing food, great service, and a wonderful environment. Because there’s so few people in the restaurant, it doesn’t take a rocket scientist to know the place will close its doors soon. The same will happen for churches who keep themselves “secret”. Churches are in decline all across America. Does that mean the programs and ministries aren’t good? Not necessarily. But it does mean the Church seems to like hiding under a bushel. “We’re the best kept secret” is always a losing communication strategy. Always. We think internal communications is enough. We need to spend as much or more resources talking to our greater community that doesn’t understand what church is all about. The church needs to identify what we are offering in such a way that it’ll interrupt their world and help them with their goals and concerns. We need to communicate it effectively to them; and tie those things to our faith in Christ. Without Him, nothing of value is possible. We don’t give our members the tools to tell. Everyone needs help with communication strategy. It doesn’t come naturally for most (ask a spouse). When it comes to our faith; people need to be taught the process of reaching out and communicating the changes that Christ alone brings. The church needs to identify tools for helping that communication strategy. Especially for sharing in social media to connect people to good content on our websites. Today, digital is almost always better than print. We assume our congregations believe Jesus is the answer. If someone in your congregation was cured of cancer, the world would be told. We’ve been cured of something so much greater but the Good News of Jesus’ transformation power isn’t being communicated. People need to see it happening in themselves and others. Are you communicating the stories of grace and mercy in your church? People love sharing compelling stories! Stop keeping your ministries a secret. Start with solid Digital Tools for your communications; website, social media, email. Once you have them all interacting, create compelling content so people understand why you do what you do. And how they’ll benefit. 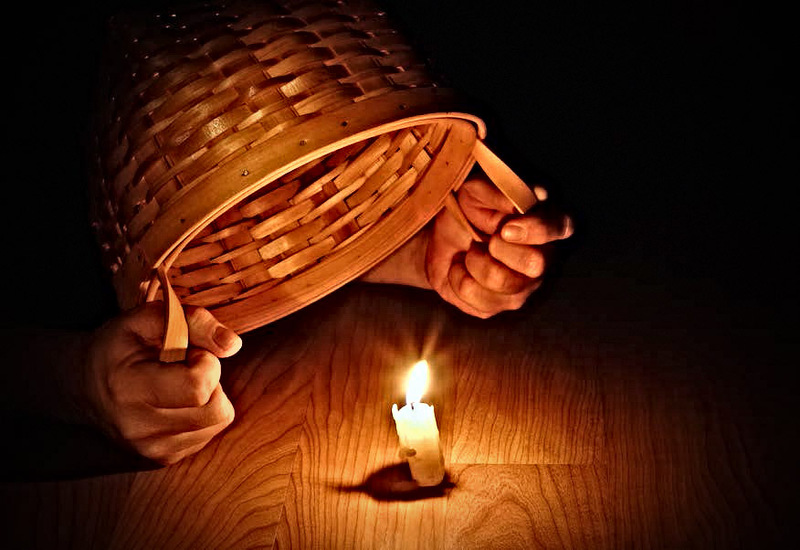 Take the bushel basket off so the world will see the amazing ministries you’re doing!